Get the right therapy for you. Don’t let your fear limits you! Since 2002, I have been helping women manage difficult situations when they feel like they are losing control, and find the tools they need dealing with shame, guilt, perfectionism and buried dreams. Have you ever felt like your losing control? “How do I keep from falling apart?” Sometimes it is okay to “just be.” But it can only happen if you give yourself permission. The toll of building a career, being a mother, keeping on top of household chores, maintaining some piece of a social life, staying physically fit, and all the rest we have to do…..after all this – it can leave us feeling pretty depleted and lonely. 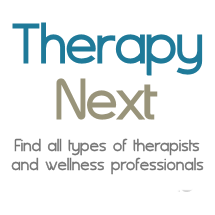 Reach out and get the right therapy for you. Contact us for more information. Cash, check, credit cards. insurance accepted: Aetna, Anthem, Blueshield of CA, Cigna, MHN, Tricare,Triwest, UBH.